Salman Khan is a fitness enthusiast and keeps himself healthy and fit for his roles. The actor had undergone a transformation for his roles in Sultan and Tiger Zinda Hai for intense action sequences. From proper training to learning horse riding, he did it all for both the Ali Abbas Zafar films. His last blockbuster Tiger Zinda Hai even showed him riding a horse. Wondering why we are talking about this now? Because a video has been doing the rounds of the internet in which Salman Khan is seen racing a horse. 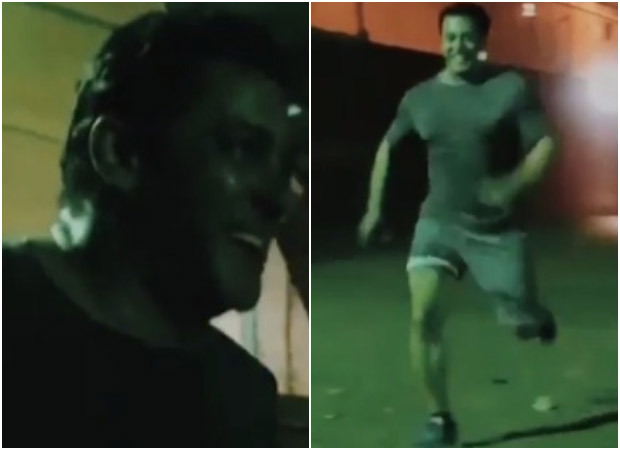 In the video shared by one of Salman’s fanclubs, Salman is seen racing with a horse at a stable. He seemed quite happy after defeating the horse and the horse rider after the race. On the work front, Salman Khan is pretty stoked about the success of Race 3. After returning from DaBangg Tour Reloaded, he will kick start the shoot of Bharat. The film, helmed by Ali Abbas Zafar, will star Priyanka Chopra and Disha Patani. Post that, he will also shoot for Dabangg 3. Salman is currently seen in Dus Ka Dum which returned on TV screens this June. Why Are We So Quick To Dismiss Romance Novels As Rubbish? We’re Supposed To Believe That Michael Jackson Had A Secret Girlfriend?